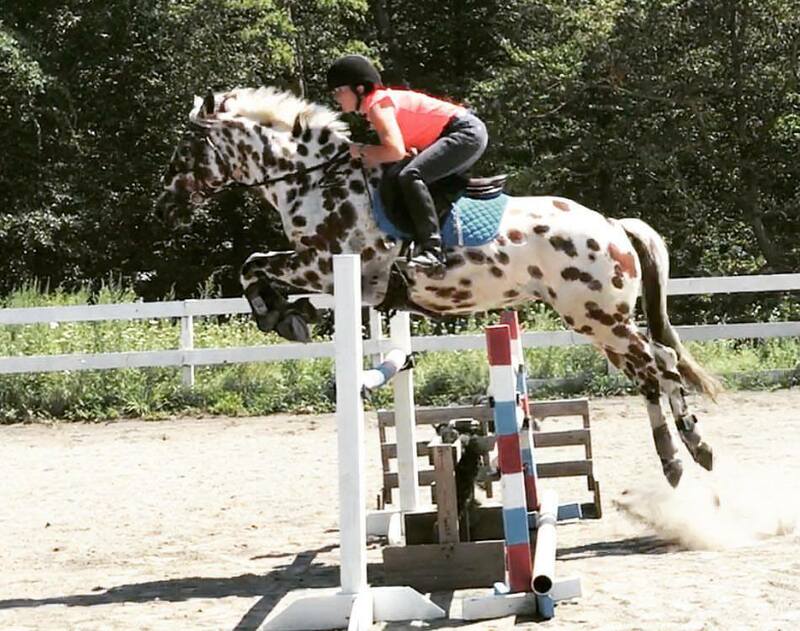 2001 born 15.1 hand appaloosa gelding. 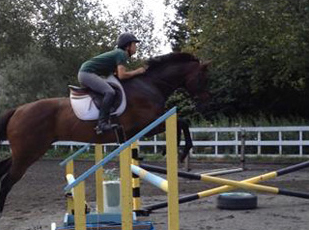 Neville is a wonderful teacher for learning dressage and jumping 2’3 courses on. 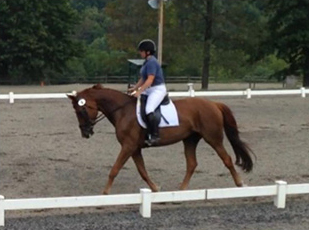 Show miles at training level dressage and 2’3 jumpers. 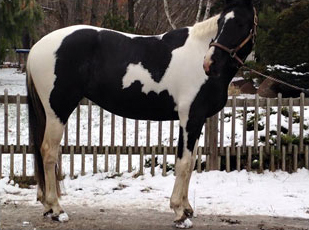 Tons of personality! 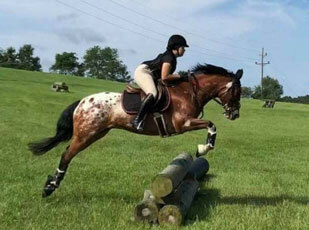 2010 born, 15.2 leopard appaloosa X thoroughbred gelding. 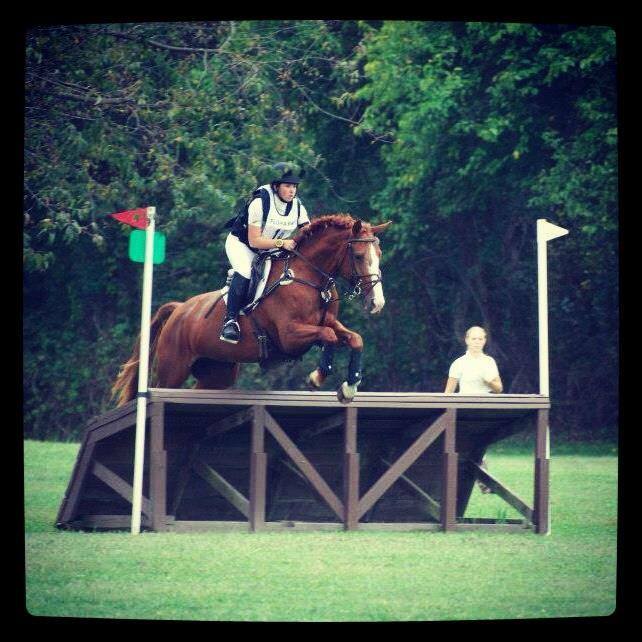 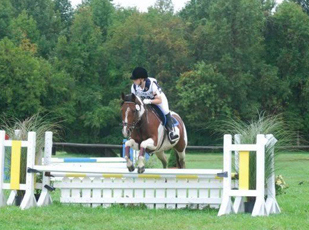 Mosby is one of Sarah’s past competition horses who has competed through Novice level eventing and first level dressage. 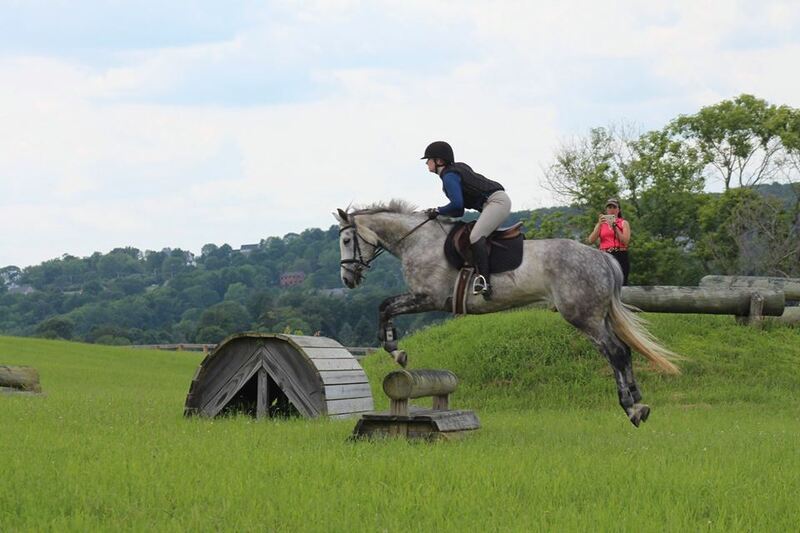 He is not only adorable, but safe, fun, and a true packer for any level rider. 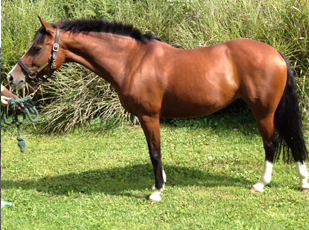 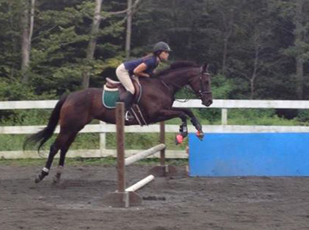 2001 born, 16.1 hand warmblood mare. 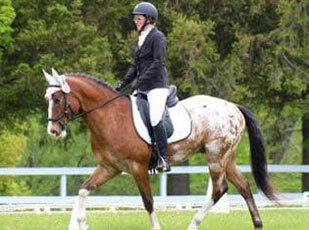 Rori is Sarah’s past competition horse who has competed through preliminary eventing and 2nd level dressage. 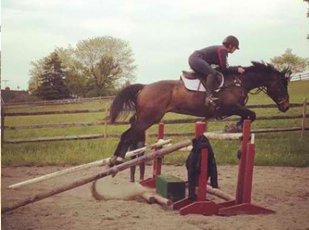 A true school master for advanced riders. 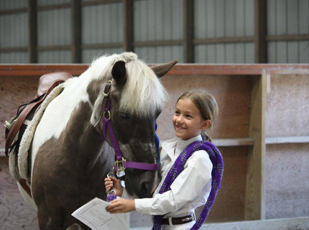 Rori is available for lessons to advanced lesson students. 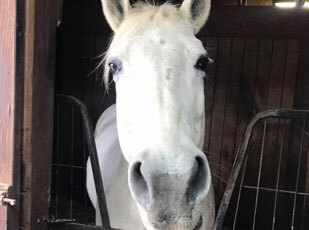 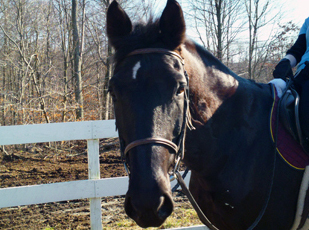 “Tiga” is a saintly mare, who is ideal for a beginner child or adult looking for a safe and sane mount to learn the basics on. 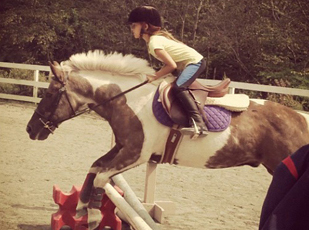 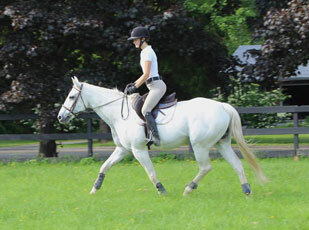 Walk, trot, canters and impeccable ground manners. 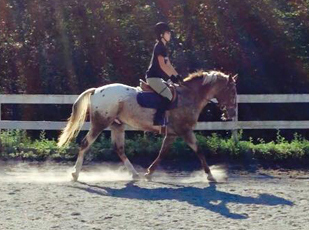 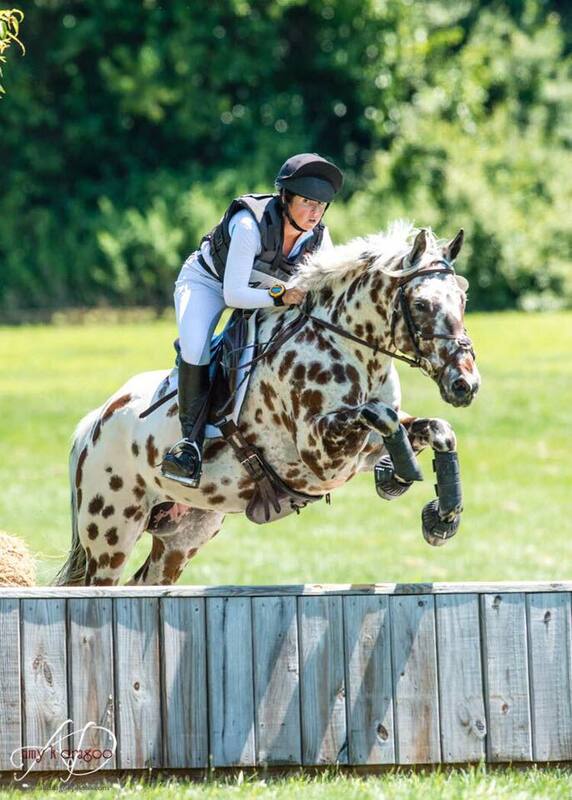 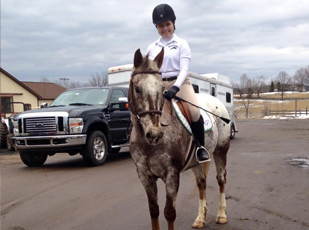 “Patrick” is a stout 15.1 hand appaloosa gelding. 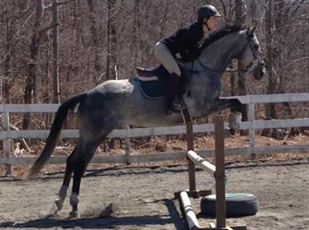 He has schooled through beginner novice jumping and first level dressage. 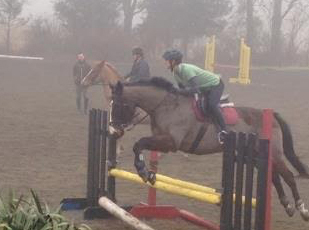 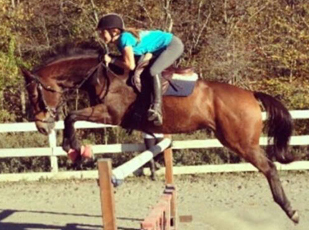 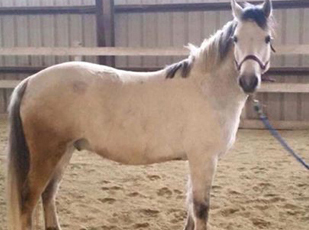 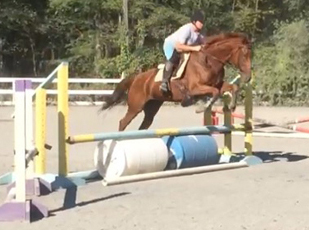 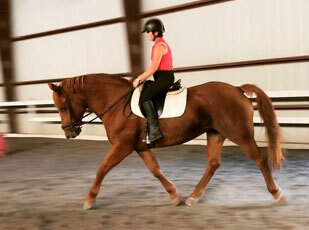 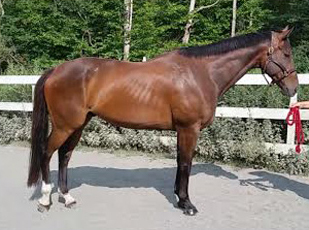 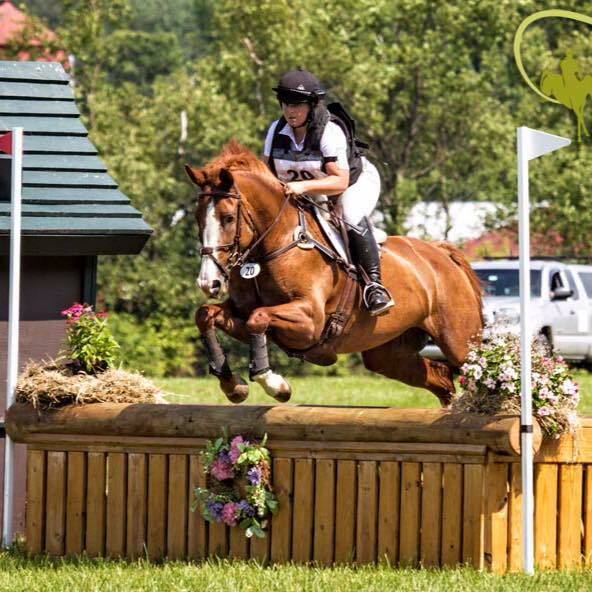 Fun horse for an intermediate or advanced rider. 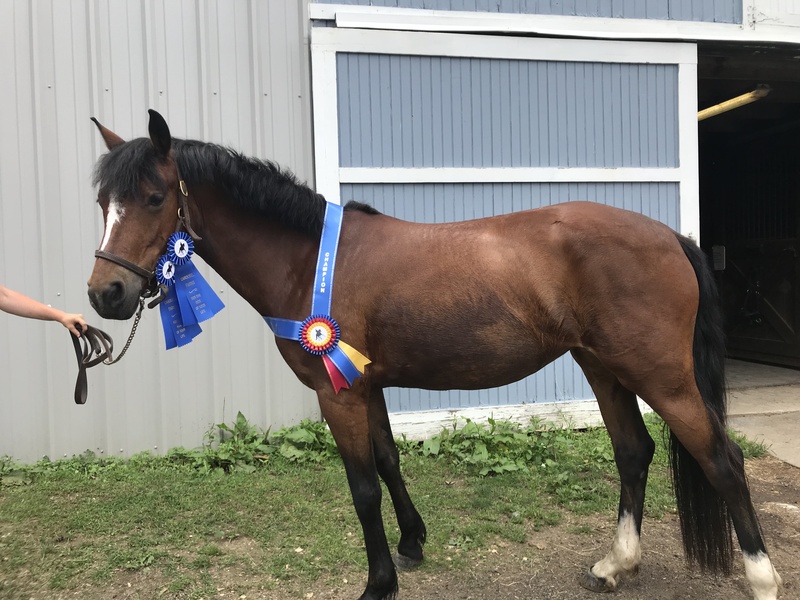 Fun horse with lots of personality! 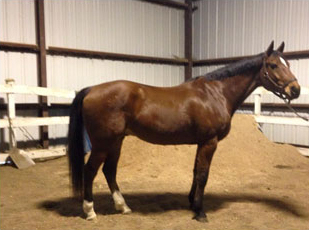 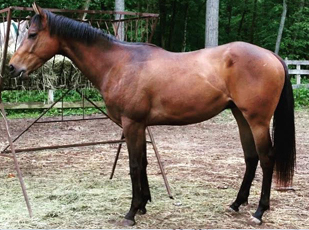 “Jersey” is a 16 hand draft cross mare. 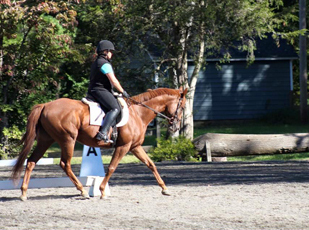 Jersey is a big girl, and a lot of fun for an intermediate or advanced rider who wants to do dressage or jump! 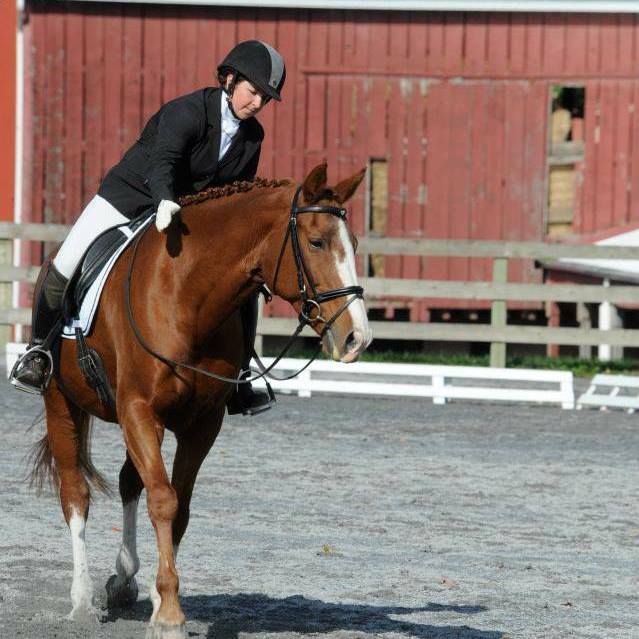 Currently jumping around 2’6 courses and schooling training level / first level dressage movements. 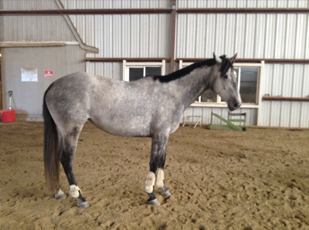 2011 born, 16.1 hand grey appendix mare. 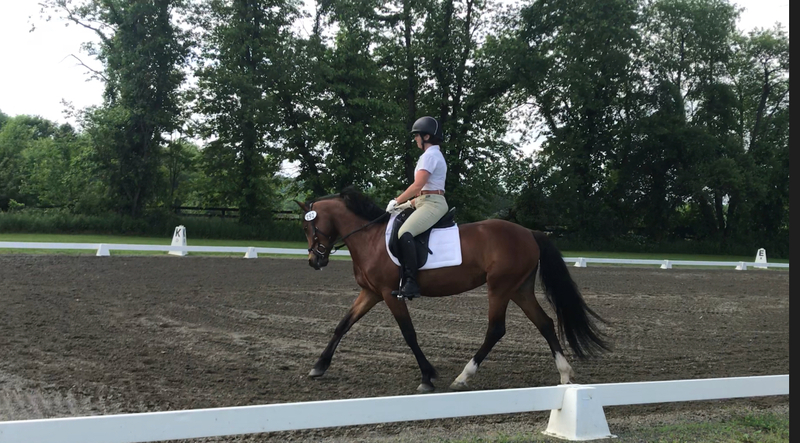 Solid training level dressage and working on some first level movements. 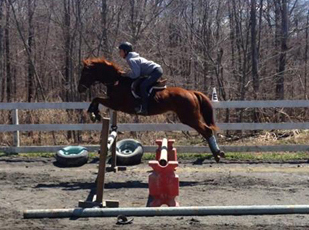 Jumping around 2’3-2’6 courses confidently. 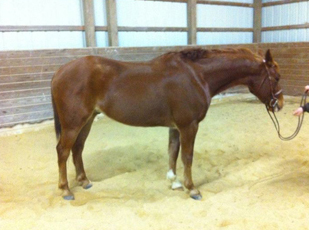 She has started showing this season and is always on perfect behavior. 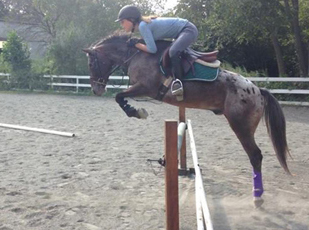 Great for advanced beginner and up.